Your fact-finding is done and everything is still all systems go! Time to prepare for closing! 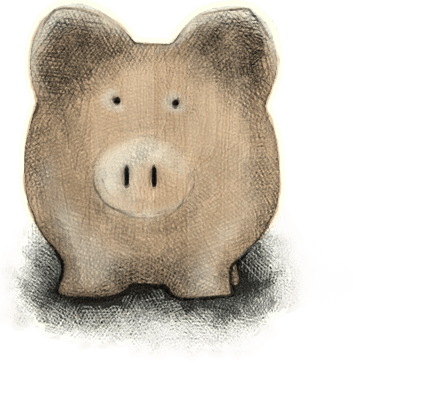 You need to make arrangements to deliver the remaining funds to the title company (time to take a hammer to that piggy bank). Also, be sure your homeowners’ insurance is all set. Meanwhile, we will be working with you and underwriting to clear remaining conditions, secure final loan approval and get in line for preparation of your closing documents. You’ve paid earnest money to the title company and a deposit to us, but you’ve still got a final chunk of money due to close. You must deliver your remaining funds to the title company at least one business day prior to your closing date. And take note: Personal checks are not allowed. The title company can only accept a wire transfer or cashier’s check. If all of your money for closing is not already snug in a local bank, it’s time to start making your arrangements. Are you cashing in investments? Borrowing from a retirement account? Receiving a gift from family? Research timelines and work backwards, allowing for mailing time and for checks and transactions to clear. To avoid delays to closing, we recommend having all of your funds needed to close in a checking, savings or money market account two weeks prior to your closing date. If you plan to send a wire from a bank with no local branch, find out their wire policies—many require an in-person request. The alternative, having the bank mail a check, takes some extra time. And, please, hang onto every last bit of paperwork documenting the movement of funds into and between your bank accounts… your Loan Coordinator will need it all. Every. Last. Bit. Only the title company can give you a to-the-penny figure for your funds to close and only after we send them your closing papers. We’re getting close, but we’re not quite there yet. We’re not quite there yet. So as you prepare for closing, you’ll be relying on our cost estimates. We work hard to give you the most accurate figures we can, erring to the safe side wherever we have an unknown variable. But remember the figures we give you are estimates and not final. Most every loan goes through two rounds of underwriting. The first time through the underwriter gives us an initial “conditional approval”—a commitment to lend that is subject to satisfying a list of chores, called “underwriting conditions”. Now it’s time to clear those underwriting conditions so we can close! Some conditions are property-related and should already be underway. Your appraisal and title report fall under this category. We tackle others behind-the-scenes. We’re nosy… you might be surprised! We take a last look at your credit report to make sure nothing has changed. We verify that your tax returns are filed with the IRS and we check that you’re still employed. There will always be at least a handful of conditions we can’t clear without your help. Your Loan Coordinator will be in touch with a list. Common conditions include updates to income and bank documents, with a special focus on documenting the liquidation of funds for closing and the source of deposits to and transfers between accounts. Letters of explanation and rounding out signatures on paperwork also come up. Be on the lookout for messages from your Loan Coordinator and respond as quickly as you can. These requests are very time-sensitive. Ask questions if anything is confusing, unclear or doesn’t seem applicable. Your goal should be to provide anything your LC requests within 24 hours in order to avoid delays to closing. For advice on how to minimize paperwork and facilitate a smooth, happy transaction read through these tips. Here we go…back into underwriting! In go all those conditions we gathered along with all the final terms of your transaction and loan. Our goal is one last pass through underwriting, however underwriters may, at their discretion, add new conditions. Keep a watchful eye out for messages from us. If we are given any new conditions, your LC will let you know. Final underwriting generally takes a couple of days. Ultimately, once all underwriting conditions are satisfied, we’ll secure final loan approval. We call this “Clear to Close” and it means the underwriter will allow us to request your closing papers. At least three days before you sign your closing papers we will provide you a Closing Disclosure (or “CD”, ‘cause we lenders love few things in life more than we love acronyms). It is important that you acknowledge receipt of the CD as soon as we send it. We’ll give you a heads up when it is on its way to you. The CD is the official disclosure of the terms of your loan and must be delivered to you at least three days before you sign closing papers at the title company. On page one, you’ll find a user-friendly summary of your loan terms, your closing cost and remaining cash needed to close. On pages two and three, you’ll see an itemization of your all of your costs. Page four includes some numbers you may not want to know (but probably should), such as the total interest cost and total finance charges if you paid minimum payments on your loan over the full loan term, as well as the Annual Percentage Rate (APR) and the Total Interest Percentage (TIP), which is the total interest you would pay over the full loan term, again if you paid minimum payments for the full loan term. Page five also includes contact information for all the parties involved in your transaction. Our Glossary includes more detail on the CD, APR and TIP. Normally, you’ll receive at least two CDs. This initial CD may get some fine-tuning before a final CD is issued at closing. Ask questions and tell us if you see anything that doesn’t look right, but don’t worry if there needs to be a change or two. Now that we are clear to close, it’s time to prepare closing documents! Your file goes into a queue in the closing department, waiting its turn. Within 24-48 hours a Closer will prepare your documents and send them to the title company. Closing documents can’t go out until we have the insurance “binder” from your agent. If you haven’t done so already, double-check that your agent is all set. If we have any trouble getting your binder, we’ll let you know to poke someone with a sharp stick for us (metaphorically, of course). Your closing papers are called “docs”. And they aren’t “printed” or “prepared”, they’re “drawn” (not with crayons, though, we promise). When your docs are drawn, we’ll let you know. It’s time to schedule your signing! If you’re not hearing much from us, that’s okay! When things are going smoothly and you’ve followed our tips, we may not be talking all that much between the time we order your appraisal and the time the closing papers go out to the title company.